Images are an integral part of any dental practice. Here, we use many means of gathering them. There are our intraoral cameras, small devices which can be used to easily capture video of the inside of a patient's mouth. There are digital x-rays, tiny sensors which take pictures of our clients' internal oral structures far more efficiently and safely than traditional x-rays. And then there's Galileo cone beam imaging which allows us to create 3D models of our patients' mouths. We use these images to catch problems, to construct treatment plans and to educate our patients about their mouths and what might need to be done concerning them for the good of their overall wellbeing. Indeed, images like these can make us all significantly more informed. Without x-rays, a good deal of problems would simply be missed, at least until they became much worse. With tools like intraoral cameras a Galileo imaging we can explain a patient's dental situation to them in more detail and maintain a higher level of effective communication. Yes, imaging is a hugely important part of dentistry, for the good of the dentists and the patients alike. One method of imaging that we utilize which has so far gone unmentioned is known as a Panorex image. This is a special kind of x-ray, one which offers a panoramic view of your mouth. 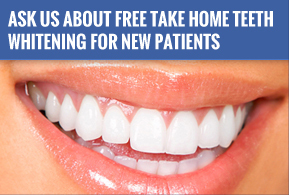 Beginning on one side and ending on the other, it allows dentists to view your entire mouth all in a straight line. This makes problem areas easier to spot and increases the speed with which diagnoses can be made. Indeed, an image like this can help a dentist understand the relationship between your teeth and jaws, as well as your bite (or occlusion). When drafting a plan for extensive cosmetic or restorative cases, it is important not only to understand the nature of the area being changed but how the altering of that area will alter the surrounding region. The capturing of Panorex images will not always be necessary. Often, more standard intra- and extra-oral photos and/or digital x-rays will suffice, but if you're planning certain cosmetic or restorative procedures they are basically essential.